Can she survive? Is Chequers dead? Will there be an election? Will Jeremy Corbyn become Prime Minister? 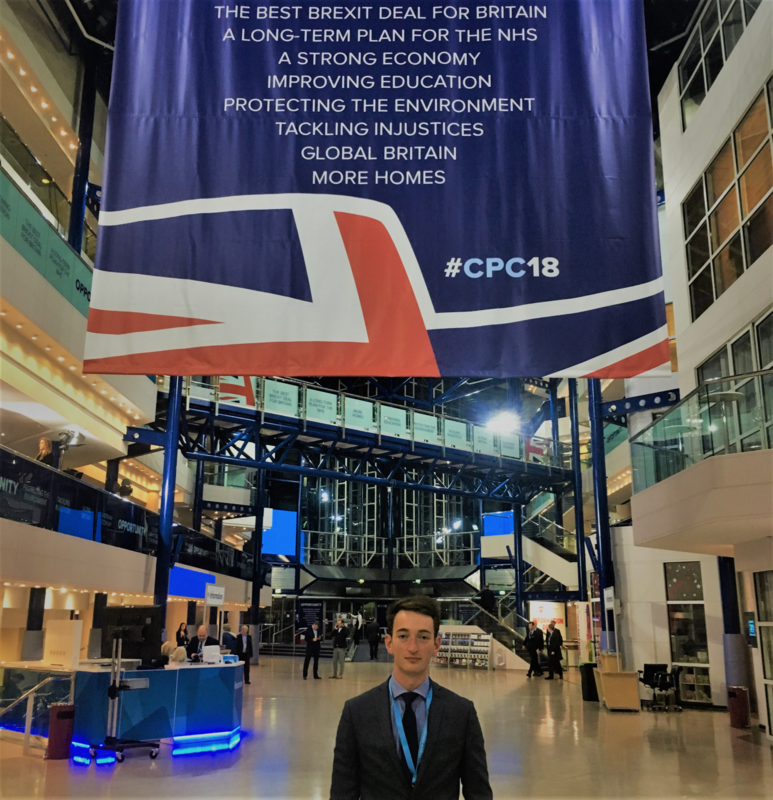 To no one’s surprise, these were some of the topics of conversation that Conservative MPs and party members were having in the bars and on the fringes of last week's Conservative Party Conference. On the face of it, and to the surprise of most people, the Conservative Party and its leader had a good conference, emerging perhaps stronger than at any time since last May's local elections. For all the noise and coverage, things proceeded as planned. The inevitable Boris Johnson circus, despite all the drama, packed up and dispersed almost as quickly as it arrived. The Cabinet, for the most part, held to the Government’s line. And even the Prime Minister appeared to have enjoyed herself - dancing to ABBA and not, for the time being, to the tune of the EU. But listen very closely and you can hear that all is not well. Politicians are grumbling, rumours are swirling and the clock for that all-important Brexit deal is ticking. So, what's really going on? Here are my three observations in my three days in Birmingham. If there's one thing that most Conservatives can agree on, it is that Theresa May should not and will not lead the party into the next election. But is Boris Johnson really the answer? That is something that the party is far less certain on. You didn't have to delve too deeply into the crowded bars last week to find an MP, Special Adviser or even Minister who doesn't regard the recent behaviour of Boris Johnson with disdain. Even some of the people who queued up to hear him speak did so more out of curiosity, than out of support for the former Foreign Secretary. Despite appearances, the passion of the membership on full display was not behind Boris, but behind the cause that he is driving - the fierce desire to "chuck Chequers" which may yet prove to be the undoing of the Prime Minister. That might explain why she chose her words so carefully in that Wednesday speech. Not mentioning the word Chequers and instead seeking to frame it as a free trade deal. It might also explain why Theresa May went to great lengths to reach across the aisle, both at home and abroad. Her reference to the “shipyard workers of Gdansk who led the resistance in Poland" was a clear nod to Donald Tusk’s personal origins. Her denouncement of anti-Semitism by paying tribute to the proud history of the Labour Party was a clever appeal to moderate Labour MPs who she hopes will walk through the lobby with her to vote through the deal. Recent reports confirm that this is exactly what the Prime Minister is seeking to do. As the showdown with the EU enters its final frantic weeks and as the choices facing MPs come into sharp focus, language and tone are going to become very important. One misplaced signal in Brussels or one wrong move at Westminster and the chances of leaving the EU without a deal become very real indeed. And that’s when all the political bets are off. With a Government so focused on Brexit that all other domestic considerations have been temporarily sidelined, a Parliament that remains incapable of passing any meaningful legislation since the result of the last election and with Cabinet resignations now a regular occurrence, politicians and observers crave a period of stability. Whether at an early morning discussion about the merits of nuclear power, an afternoon roundtable event about building better and more beautiful homes or a late-night CBI reception with the Business Secretary, the call for “continuity” was a common refrain from business leaders, Councillors and industry representatives. Even the Government’s Housing Minister joked that he might just make it through the Conference with his job intact, observing that he was the 18th person in 20 years to occupy the post – a staggering statistic that should leave many developers worried about a long-term plan for housebuilding. And yet although Secretaries of State were on their best behaviour, the same cannot be said of more junior Ministers. Frustrated at having been denied a seat at the cabinet table and well aware that they will need to get there if they are to have a shot of the top job when the time comes, several were more than happy to go "off brief" and talk in suspicious detail and poise about the fundamental problems facing the country. The next time an International Development Minister starts talking at length about regional devolution, it might be worth remembering their name as the chances are they won’t be there long. Listening to Ministers talk about the challenges facing the country, and after hearing the Prime Minister’s speech on Wednesday, it seems that Jeremy Corbyn has accomplished the same feat as Thatcher. For a man whose prospects for power are by no means certain, the Labour leader has managed to shift the ideological needle firmly in his direction. Gone are the days when Conservative politicians would loyally take to the airwaves to trumpet the “long-term economic plan” and point to deficit reduction and tax cuts as examples of economic progress. In their place are gestures that hint at more investment to come: “tackling injustices”, “more homes”, “protecting the environment”, and “a long-term plan for the NHS”. You only have to read Theresa May’s pitch to readers of the Observer just yesterday to realise just how far her party has come. Such a stark change in message is an acknowledgement of the terrain that the Conservatives now find themselves fighting on. But it is also a response to the reality on the ground. Councillors in even the bluest of areas are finding it more and more difficult to explain to their voters why the local library was forced to close. MPs in marginal constituencies who face the very real prospect of losing their seat at the next election are growing louder in calling for the public sector pay cap to be lifted on all workers and for pet infrastructure projects to be given the green light. Ambitious backbenchers wanting to make a name for themselves within the party are increasingly prepared to speak out in calling for more money on defence, prisons, schools, police officers and much more. And after the announcement of an extra £20 billion for the NHS, even Cabinet Ministers are growing increasingly confident that if Jeremy Hunt can get what he wants, then they can too. This is the financial and political headache that Philip Hammond finds himself in as he prepares to write this Autumn’s budget - a naturally cautious and fiscally restrained Chancellor now tasked with heeding the calls of a Prime Minister who wants to “end austerity” and turn the page of the David Cameron/George Osborne era. So, can she survive? Is Chequers dead? Will there be an election? Will Jeremy Corbyn become Prime Minister? The truth is, no one really knows. But with the clock ticking, we will find out soon enough.